From the start of the project AuCom will work with you to explain all the steps in the process before they happen. This ensures no surprises, and up-to-date feedback on progress to allow you to plan in advance. We have 4 stages in the creation of your motor control solution. When you begin discussions with our sales engineers we will start by listening to your needs and understanding your expectations. Not all applications are the same, so we’ll customise a solution tailored specifically for your application. We’ll consider your environmental conditions, electricity supply, motor and load in the context of the way you will use it. There are many solutions, but only one AuCom Ideal Solution™. This is the solution that is the best match between application, solution, safety, operational efficiency and capital cost. We’ll match the starter to your motor to ensure it is capable of a lifetime of service. We also won’t specify product beyond what you need so you don’t waste budget. 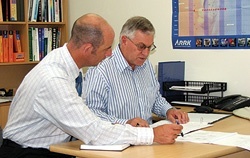 To understand your needs, we will guide you through questions on your requirements and your application. To complete the specification of your solution we will work through each of these aspects. We know that one size doesn’t fit all, so we ensure that you get the best motor control solution for your unique situation. Our medium voltage soft start specialists use advanced proprietary tools to specify the ideal AuCom medium voltage solution for your application. 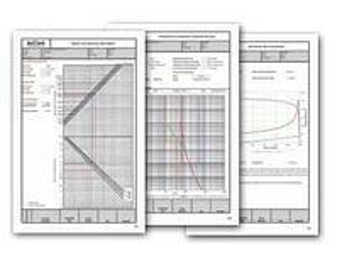 We provide a detailed technical datasheet including calculations for motor starting, heat dissipation, supply capacity, transformer & cable voltage drops, and selection of fuses and power factor correction. Our contracts are easy to understand plain language. While we use a standard template contract, we can modify product and service delivery to meet the requirements of both parties. AuCom recommends you organise freight with your preferred freight forwarder. When requested we can provide global distribution to your project site including sea or air freight options.